Carolyn started riding at the early age of 3 when mother, Pat Bell took her to watch her own horse riding lesson in Ohi0. Carolyn competed successfully in both local and Class A shows winning many Championships in Saddle Seat Equitation. At that time she also worked at a local boarding stable after school cleaning stalls to pay the board on two young show horses. These were her Ohio horse training projects that she enjoyed doing with the help of her father, Bob Bell. These horses were shown successfully in Saddlebred and Morgan English pleasure classes. While Carolyn was in college she worked as a caretaker for Jim Taylor Stables. Carolyn has been away from showing for quite a few years due to other life commitments. She attended the University of Akron, graduating with a BA in Accounting in 1990. In 2006 she completed the Executive MBA Program at Baldwin Wallace College with a 4.0 GPA. She has worked for many great companies throughout her career such as FedEx Custom Critical, Chicago Title, Waste Management, Penske Logistics, General Electric and currently she is working at Sodexo as Sr. Finance Manager for UH Hospitals. 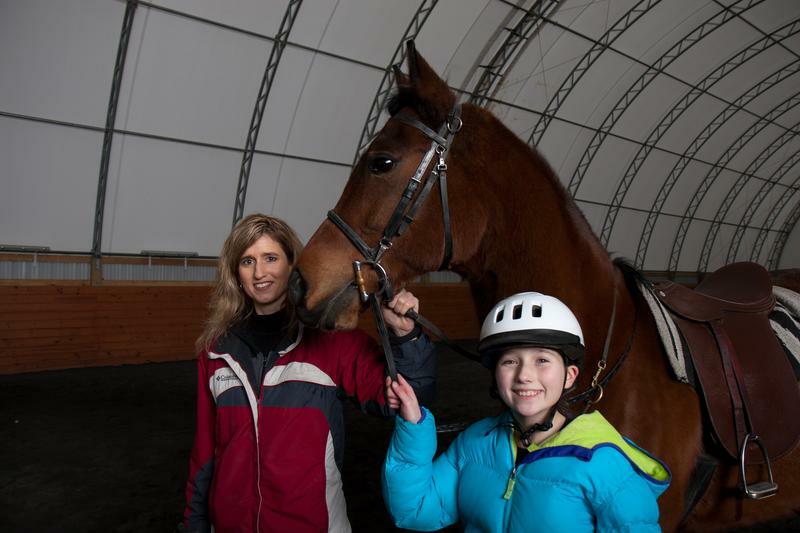 Now that she has established her professional career, Carolyn is excited to finally have the opportunity to have her own horse training facility. Copyright 2012 CH Elegant Equines, Ltd.: Horse Training Ohio. All Rights Reserved.